Human evolution was not a special case of anything. 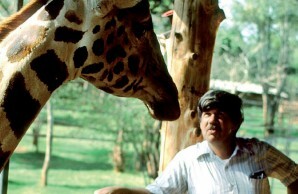 For long-time readers of Natural History, Stephen Jay Gould needs no introduction. His column, “This View of Life,” was a mainstay of the magazine, starting in January 1974 with “Size and Shape” and concluding with the 300th installment, “I Have Landed,” in the December 2000/January 2001 issue. (In that connection it might be mentioned that Gould, ever precise, insisted on commemorating the turn of the millennium on January 1, 2001, one year after most of the populace had celebrated the new digit—not to mention the successful dodging of the dreaded Y2K bug.) What made his columns so popular was not just Gould’s range of chosen topics, but also the way he regularly allowed himself to be carried away on any tangent that he found interesting. Gould died on May 20, 2002. Last spring, on the tenth anniversary of his death, I was invited to join other scholars at a commemorative meeting in Venice organized by the Istituto Veneto di Scienze, Lettere ed Arti in collaboration with the Università Ca’ Foscari. It fell to me, as an anthropologist, to talk about Gould’s intellectual legacy to anthropology. Gould was, of course, anything but a primate specialist. But as it happens, in 1974, the year Gould started writing “This View of Life,” he and I were both invited to attend a specialized meeting on “Phylogeny of the Primates: An Interdisciplinary Approach.” Even at that early stage in his career, I learned, the reach of his writings had broadened well beyond his realms of invertebrate paleontology (he was a fossil-snail expert) and evolutionary theory. He came to address the roles of ontogeny (development of the individual) and neoteny (the evolutionary retention of juvenile traits in adults) in human evolution. What I personally found most interesting, however, was his preprint for the conference, which contained, among much else, a virtuoso canter through the history of human evolutionary studies. He effortlessly displayed mastery of a huge literature on a scale that many professional paleoanthropologists fail to achieve in entire academic lifetimes. Despite a paucity of strictly technical contributions, there can be no doubt that Gould’s influence on anthropology, and on paleoanthropology in particular, was truly seminal. 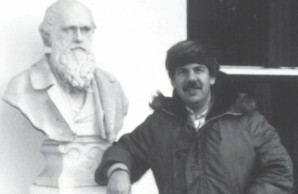 Foremost among such influences was his 1972 collaboration with Niles Eldredge in developing and publicizing the notion of “punctuated equilibria,” the view that species typically remain little changed during most of their geological history, except for rapid events when they may split to give rise to new, distinct species. This breakthrough enabled paleoanthropologists, like other paleontologists, to treat the famous “gaps” in the fossil record as information, a reflection of how evolution actually proceeded. Similarly, it was Gould who, in collaboration with Yale paleontologist Elisabeth S. Vrba (then at the Transvaal Museum in Pretoria, South Africa), emphasized that an anatomical or behavioral trait that evolved to serve one function could prove a handy adaptation for an entirely unanticipated one—and that the term exaptation was a better name for this phenomenon than preadaptation, which implied some kind of inherent tendency for a species to follow a certain evolutionary path. Anthropologists were forced to recognize exaptation as an essential theme in the history of innovation in the human family tree. I want to argue that the “sudden” appearance of species in the fossil record and our failure to note subsequent evolutionary change within them is the proper prediction of evolutionary theory as we understand it. Evolution usually proceeds by “speciation”—the splitting of one lineage from a parental stock—not by the slow and steady transformation of these large parental stocks. Repeated episodes of speciation produce a bush. Before World War II, paleoanthropologists had overwhelmingly been human anatomists by background, with little interest in patterns of diversity in the wider living world. And having been trained largely in a theoretical vacuum, the postwar generation of paleoanthropologists was already exapted to capitulate when, at exact midcentury, the biologist Ernst Mayr told them to throw away nearly all the many names they had been using for fossil hominids. Mayr replaced this plethora, and the diversity it had suggested, with the idea that all fossil hominids known could be placed in a single sequence, from Homo transvaalensis to Homo erectus and culminating in Homo sapiens. There was admittedly a certain elegance in this new linear formulation; but the problem was that, even in 1950, it was not actually supported by the material evidence. And new discoveries soon made not only most paleoanthropologists but even Mayr himself—grudgingly, in a footnote—concede that at least one small side branch, the so-called “robust” australopithecines, had indeed existed over the course of human evolution. But right up into the 1970s and beyond, the minimalist mindset lingered. Gould’s was among the first—and certainly the most widely influential—voices raised to make paleoanthropologists aware that there was an alternative. In his “Ladders, Bushes, and Human Evolution” column, Gould declared that he wanted “to argue that Australopithecus, as we know it, is not the ancestor of Homo; and that, in any case, ladders do not represent the path of evolution.” At the time, both statements flatly contradicted received wisdom in paleoanthropology. 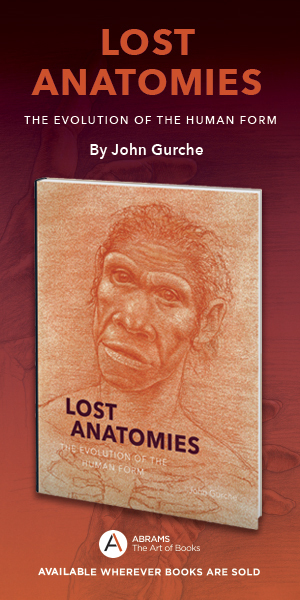 And while in making the first of them I suspect that Gould was rejecting Australopithecus as ancestral to Homo as a matter of principle, his immediate rationale was based on the recent discovery, in eastern Africa, of specimens attributed to Homo habilis that were just as old as the South African australopithecines. Indeed, his impact on the paleoanthropological mindset went beyond even this, largely via his ceaseless insistence that human beings have not been an exception to general evolutionary rules. Before Gould’s remonstrations began, one frequently heard the term “hominization” bandied about, as if becoming human had involved some kind of special process that was unique to our kind. Gould hammered home the message that human evolutionary history was just like that of other mammals, and that we should not be looking at human evolution as a special case of anything. Of course, Gould had ideas on particular issues in human paleontology as well, and he never shrank from using his Natural History bully pulpit to voice his opinions. Over the years he issued a succession of shrewd and often influential judgments on subjects as diverse as the importance of bipedality as the founding hominid adaptation; the newly advanced African “mitochondrial Eve”; hominid diversity and the ethical dilemmas that might be posed by discovering an Australopithecus alive today; sociobiology and evolutionary psychology (he didn’t like them); the relations between brain size and intelligence; neoteny and the retention of juvenile growth rates into later development as an explanation of the unusual human cranial form; and why human infants are so unusually helpless. But without doubt, Gould caused the most prolonged paleoanthropological uproar through his espousal of an issue of historical detail: his curious idea that the perpetrator of the Piltdown hoax was the French Jesuit priest, mystic, and paleontologist Pierre Teilhard de Chardin. 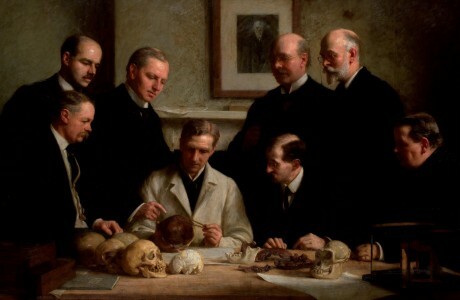 During the four decades following 1912, British paleoanthropologists energetically promoted fossils collected at the site of Piltdown, in southern England, as those of the progenitor of the human lineage.Put together, the Piltdown fragments produced a skull combining a curiously modern-looking cranium with an ape-like jaw. Eventually it was shown that the artfully broken skull pieces fraudulently formed a composite skull, with cranial pieces from a modern human matched with a suitably modified fragment of orangutan jaw. Those bones, and others, had been deliberately planted at the site; and, once revealed, the hoax became a huge embarrassment to paleoanthropology in general, and to British paleoanthropology in particular. Immediately, of course, the search was on for the fraudster, and suspicion has at one time or another fallen on practically everyone possible, including Arthur Conan Doyle, creator of the immortal Sherlock Holmes. Still, a hundred years after it was committed, the perpetrator of the fraud has yet to be identified definitively, though Charles Dawson, a local lawyer, was almost certainly involved somehow. It was Dawson who reported the first fossils from the Piltdown site, and he had not only the necessary knowledge, but also the opportunity and access to the materials required to carry out the hoax. Gould first wrote about Piltdown in a Natural History column published in 1979; and although at this point he presented the affair as an enduring mystery, Teilhard de Chardin was front and center in his list of suspects. This outraged a lot of the radical cleric’s admirers, and Gould found himself obliged to vigorously defend his interpretation. But Gould loved nothing more than a good fight, and by the following year he was ready to declare outright in the pages of Natural History that, in collusion with Dawson, Teilhard de Chardin had been the hoaxer. Well, to cut a rather long story short, Gould very effectively managed to reopen the dossier on this remarkable episode, and a spirited debate has sporadically raged since on the matter. But while the verdict on the identity of the hoaxer still remains open, Gould’s choice continues to be a very long shot indeed. Principally in the 1970s—when memories of the struggle for civil rights in the United States during the previous decade were still extremely raw—Gould devoted a long series of his columns to the subject of racism, as it presented itself in a whole host of different guises. 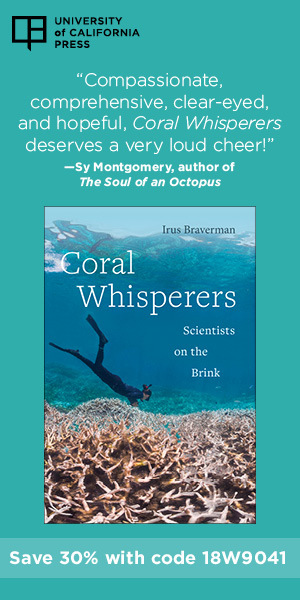 In his very first year of writing for Natural History, he ruminated on the “race problem” both as a taxonomic issue, and in its more political expression in relation to intelligence. He even made the matter personal, with a lucid and deeply thoughtful demolition in Natural History of the purportedly scientific bases for discrimination against Jewish immigrants to America furnished by such savants as H. H. Goddard and Karl Pearson. Gould also began his long-lasting and more specific campaign against genetic determinism, via a broadside against the conclusions of Arthur Jensen, the psychologist who had argued that education could not do much to level the allegedly different performances of various ethnic groups on IQ tests. And he began a vigorous and still somewhat controversial exploration of the historical roots of “scientific racism” in the work of nineteenth-century embryologists such as Ernst Haeckel and Louis Bolk. But Gould’s most widely noticed contribution to the race issue began in 1978, with his attack in Science on the conclusions of the early-nineteenthcentury physician and craniologist Samuel George Morton, whom he characterized rather snarkily as a “self-styled objective empiricist.” In three voluminous works published in Philadelphia between 1839 and 1849—on Native American and ancient Egyptian skulls, and on his own collection of more than 600 skulls of all races—the widely admired Morton had presented the results of the most extensive study ever undertaken of human skulls. The main thrust of this study had been to investigate the then intensely debated question of whether the various races of humankind had a single origin or had been separately created. Morton opted for polygeny, or multiple origins, a conclusion hardly guaranteed to endear him to Gould. Along the way, Morton presented measurements that showed, in keeping with prevailing European and Euro-American beliefs on racial superiority, that Caucasians had larger brains than American “Indians,” who in turn had bigger brains than “Negroes” did. In Mismeasure, Gould restated his case against Morton at length, adding to the mix a robust rebuttal of methods of psychological testing that aimed at quantifying “intelligence” as a unitary attribute. One of his prime targets was inevitably Arthur Jensen, the psychologist he had already excoriated in the pages of Natural History for Jensen’s famous conclusion that the Head Start program, designed to improve low-income children’s school performance by providing them with pre-school educational, social, and nutritional enrichment, was doomed to fail because the hereditary component of their performance—notably that of African American children—was hugely dominant over the environmental one. A predictable furor followed the publication of Mismeasure, paving the way for continuing controversy during the 1980s and 1990s on the question of the roles of nature versus nurture in the determination of intelligence. This issue of nature versus nurture, a choice between polar opposites, was of course designed for polemic, and attempts to find a more nuanced middle ground have usually been drowned out by the extremes. So it was in Gould’s case. An unrepentant political liberal, he was firmly on the side of nurture. As a result of his uncompromising characterizations of his opponents’ viewpoints, Gould found himself frequently accused by Jensen and others of misrepresenting their positions and of erecting straw men to attack. Yet even after Mismeasure first appeared, the climax of the debate was yet to come. In 1994, Richard Herrnstein and Charles Murray published their notorious volume, The Bell Curve: Intelligence and Class Structure in American Life. At positively Gouldian length, Herrnstein and Murray gave a new boost to the argument that intelligence is largely inherited, proclaiming that innate intelligence was a better predictor of such things as income, job performance, chances of unwanted pregnancy, and involvement in crime than are factors such as education level or parental socioeconomic status. They also asserted that, in America, a highly intelligent, “cognitive elite” was becoming separated from the less intelligent underperforming classes, and in consequence they recommended policies such as the elimination of what they saw as welfare incentives for poor women to have children. To Gould such claims were like the proverbial red rag to a bull. He rapidly published a long review essay in The New Yorker attacking the four assertions on which he claimed Herrnstein and Murray’s argument depended. In order to be true, Gould said, Herrnstein and Murray’s claims required that that what they were measuring as intelligence must be: (1) representable as a single number; (2) must allow linear rank ordering of people; (3) be primarily heritable; and (4) be essentially immutable. None of those assumptions, he declared, was tenable. And soon afterward he returned to the attack with a revised and expanded edition of Mismeasure that took direct aim at Herrnstein and Murray’s long book. There can be little doubt that, as articulated in both editions of Mismeasure, Gould’s conclusions found wide acceptance not only among anthropologists but in the broader social arena as well. But doubts have lingered about Gould’s broad-brush approach to the issues involved, and particularly about a penchant he had to neglect any nuance there might have been in his opponents’ positions. Indeed, he was capable of committing in his own writings exactly the kinds of error of which he had accused Samuel Morton—ironically, even in the very case of Morton himself. In June 2011, a group of physical anthropologists led by Jason Lewis published a critical analysis of Gould’s attacks on Morton’s craniology. By remeasuring the cranial capacities of about half of Morton’s extensive sample of human skulls, Lewis and colleagues discovered that the data reported by Morton had on the whole been pretty accurate. They could find no basis in the actual specimens themselves for Gould’s suggestion that Morton had (albeit unconsciously) overmeasured European crania, and under-measured African or Native American ones. What’s more, they could find no evidence that, as alleged by Gould, Morton had selectively skewed the results in various other ways. The anthropologists did concede that Morton had attributed certain psychological characteristics to particular racial groups. But they pointed out that, while Morton was inevitably a creature of his own times, he had done nothing to disguise his racial prejudices or his polygenist sympathies. And they concluded that, certainly by prevailing standards, Morton’s presentation of his basic data had been pretty unbiased. What is more, while they were able to substantiate Gould’s claim that Morton’s final summary table of his results contained a long list of errors, Lewis and colleagues also found that correcting those errors would actually have served to reinforce Morton’s own declared biases. And they even discovered that Gould had reported erroneous figures of his own. It is hard to refute the authors’ conclusion that Gould’s own unconscious preconceptions colored his judgment. Morton, naturally enough, carried all of the cultural baggage of his time, ethnicity, and class. But so, it seems, did Gould. And in a paradoxical way, Gould had proved his own point. Scientists are human beings, and when analyzing evidence they always have to be on guard against the effects of their own personal predilections.